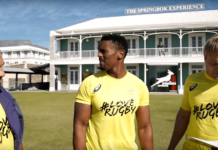 Legendary Springbok rugby scrumhalf and captain Joost van der Westhuizen died on Monday 6 February after five years battling motor neuron disease. He was 45. 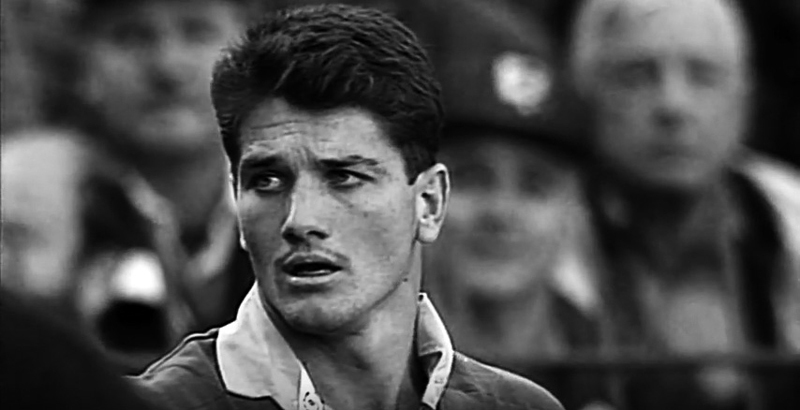 Former Springbok rugby scrumhalf, captain and legend, Joost van der Westhuizen, has died at age 45 after a long battle with motor neuron disease. The J9 Foundation, which Van der Westhuizen established to fight the incurable disease, confirmed his passing on Monday 6 February. After his vital organs began to fail on Friday 3 February, he was admitted to a Johannesburg hospital on Saturday and placed on life support. The foundation said he passed away on Monday after “putting up an incredible fight” over the weekend. He was diagnosed with amyotrophic lateral sclerosis (ALS), a form of motor neuron disease, in 2011. The disease attacks the body’s neurons, weakening the body’s voluntary muscles. This can result in difficulty in speaking, swallowing, and eventually breathing. Van der Westhuizen played a pivotal role in the Springbok’s first Rugby World Cup title in 1995. 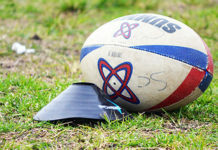 In his prime, he was considered the world’s greatest scrumhalf. He is still regarded as one of the legends of the game. Van der Westhuizen spent his entire club career with the Blue Bulls, from 1993 until 2003, with great success. But he will be best remembered for his international playing career. He featured in 89 tests for the Springboks and scored 38 tries, a record only broken by Bryan Habana in 2011, at the Rugby World Cup. 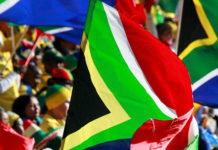 He captained South Africa during the 1999 World Cup where they finished third. 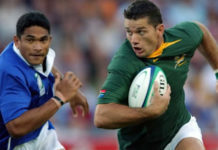 Van der Westhuizen retired from international rugby in 2003 as South Africa’s record cap holder.